As mentioned in my recent post on the Hispanic Retail 360 Summit, marketers must often make tough decisions on which conferences to attend, given that there are time and budget constraints. 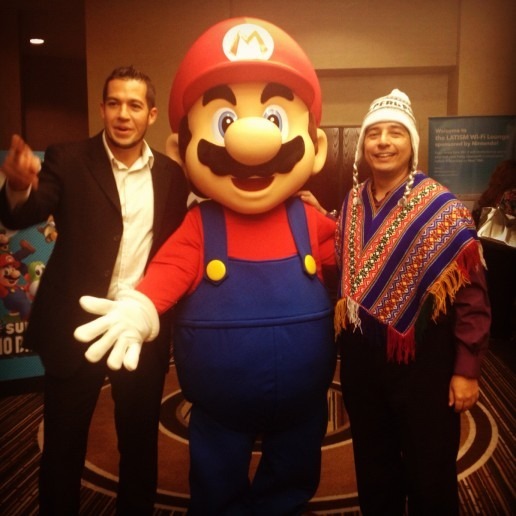 While LATISM 2012 was not the best conference I’ve been to, it still held its value. The content was solid and the people that I met also made the trip worthwhile. Having never been to Houston, I was excited to visit Space City. The conference definitely had that “big city” feel, as it was held at the Downtown Hyatt near many Houston attractions. My business partner and Social Media Spanish co-owner Natasha Pongonis joined me for the conference too, which allowed us to have internal meetings in our off time from the conference. 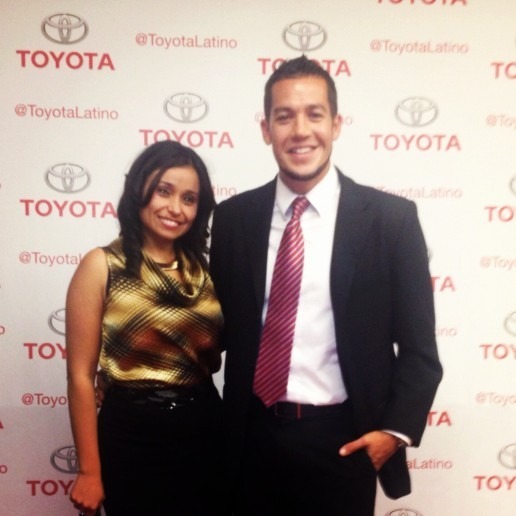 Social Media Spanish team at the Toyota red carpet opening for LATISM 2012. And the Bloggers came out in Force! LATISM is known for bringing out bloggers, and this year was no different. Two out of three people I met was a blogger it seemed, which was great as I frequently work with bloggers and always enjoy connecting with a new one. I specifically enjoyed connecting with Holdin’ Out for a Hero, Web City Girls, Hispana Global and Cuponeando. Additionally, I was able to meet and network with for the first time with bloggers Christy Wilson Nutrition (from Tucson! ), Spoiled Latina, and Bloggers of Health. I was impressed with the blogger turnout and many of the other marketers there expressed the same feeling. Myself, Mario and El Mundo Tech blogger Alberto Saldamando dressed in traditional Peruvian wardrobe. I was chosen to moderate a panel titled, Using Technology to Solve Latino Problems, and was very pleased to have the chance to meet some very talented young women. My panelists collectively took on the topics of education, health, immigration, labor equality, and voting, which can be pushed forward through the use of technology. Jazmin Chavez of Latino Justice shared several very interesting mobile apps including PollWatch USA that can quickly help identify polling issues, and the Department of Labor’s Time Sheet app that can be used by hourly laborers to ensure they are not getting underpaid by their employers. Laquitta DeMerchant of FuzionApps in Houston shared her Aequitas career management app, which helps users find what expected salaries should be regionally for specific roles. Additionally, Mazie Soto of the Technocratic Learning and Collaboration Center of Chicago shared her thoughts on a number of topics including how to get youth to utilize their smartphones for more than just socializing and gaming. Overall, the audience enjoyed a thoughtful panel that described numerous ways that technology can be leveraged to advance Latino causes. 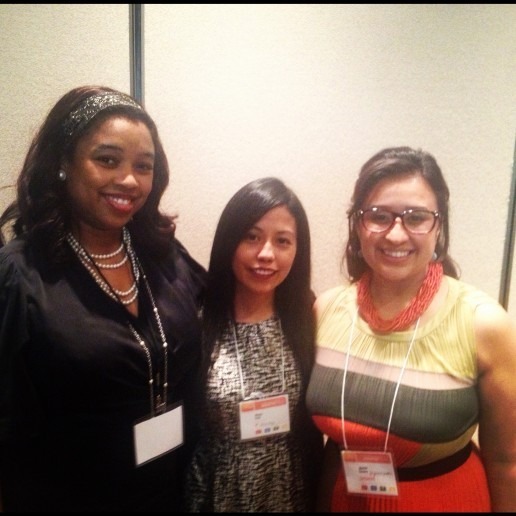 Panelists Laquitta DeMerchant, Mazie Soto, and Jazmin Chavez at the session: Using Technology to Solve Latino Problems. Wow. What an amazing event. While I did not attend the whole session, what I saw was memorable for everyone in the room. In a crowded ballroom, serial entrepreneur and media maven Nely Galan and the Adelante Movement team hosted an event aimed at inspiring Latina women to take action, and to connect them with financial opportunities that will ensure wealth and prosperity for their families and their communities. The highlight of the event was when the Adelante team gave women in the audience an opportunity to approach the mic to explain their goal and how they planed to reach it. The Adelante team then critiqued the brave souls publicly one by one, providing them feedback and advice to help them achieve their goals faster. All very inspiring. The awards ceremony had a lot of promise but wound up falling short. It kicked off with a carnivale style entrance featuring scantily clad performers (below), which captivated the audience and dropped a few jaws. Overall, the session was good, but there were a few shortcomings. I felt there were a few too many awards given out, which made the evening drag. Another problem was that there was no emcee so transitions between awards were strangely silent and awkward. Top that with no open bar, and it had all the makings of a snooze-fest. Somewhere between the 15th and 20th award I decided to join the masses that had made their way to the lobby bar. Overall, LATISM was a good conference. I think next year will be much better. 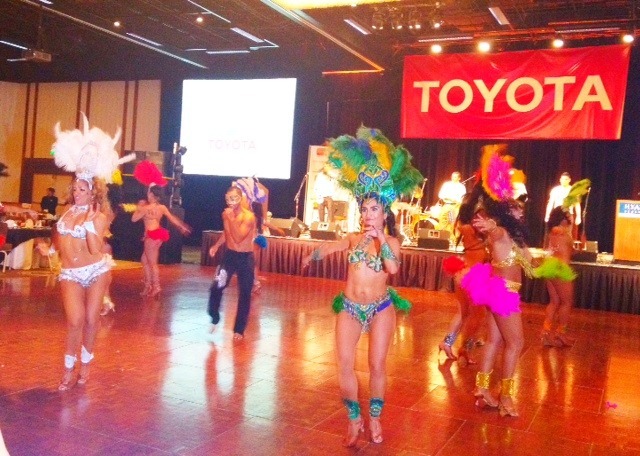 LATISM has a lot of volunteers behind it and some very strong sponsors as well, including Toyota and Johnson & Johnson. I believe next year will be better organized, feature more relevant content and have a heavier turnout. I’m looking forward to LATISM 2013 in NYC. Fellow LATISM Marketers and Bloggers. Previous PostWhy Does The Latina Shopper Matter? 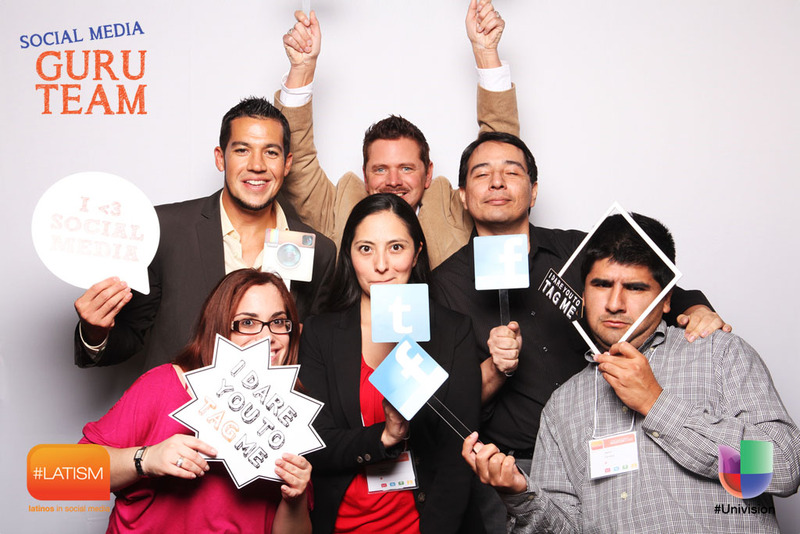 A Marketer’s Perspective on #LATISM 2012 Conference http://t.co/dagqjEe7 Plus run-ins w/ @elmundotech @webcitygirls @spoiledlatina & more.